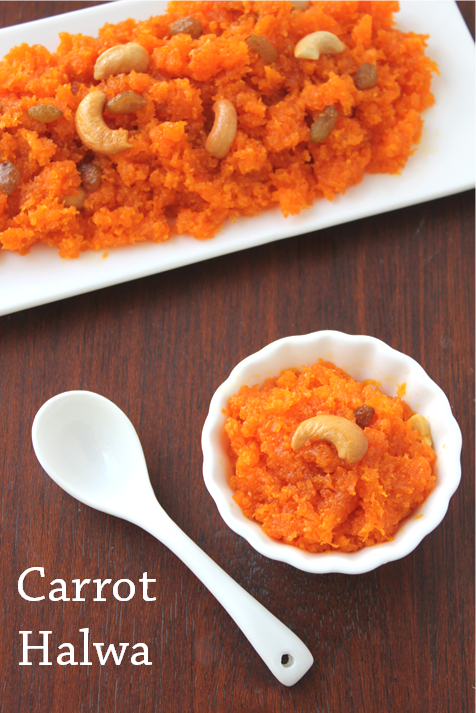 I am posting this Carrot Halwa/Gajar ka halwa recipe specially for a blogger friend who has been a great support to me. 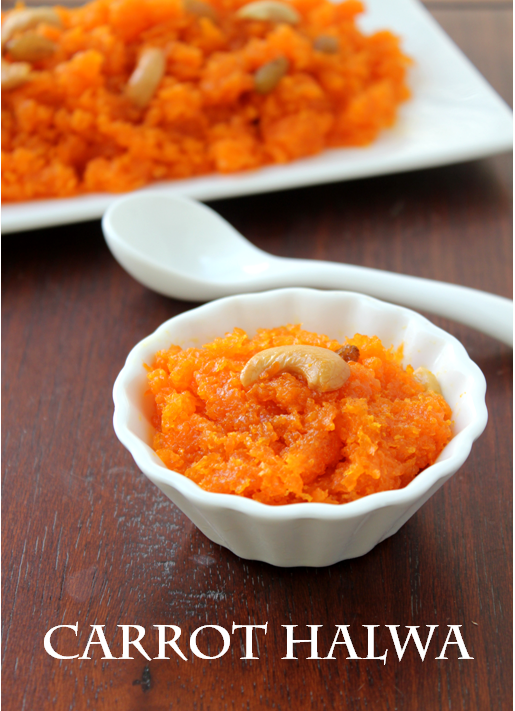 Carrot Halwa is a very popular Punjabi Dessert ,especially in winter. My friend usually makes the dish with Delhi carrots, which are red in colour. Somehow, I prefer the normal carrots for their colour. It is a simple recipe if you have the carrots shredded. It does not require much ghee nor there is frying involved, so you can really indulge in this sweet without feeling guilty. You can add some more nuts like Almonds or Pistachios, if you prefer.For a quicker version, people do add condensed milk or khoa. Whichever method you follow, it still tastes great !! Peel the skin and shred the carrots.Heat one tbs of ghee in a thick bottomed pan and roast the cashewnuts till light brown and add the raisins and keep them aside in a bowl. Add the milk and allow it to boil and keep the stove in medium flame and cook it covered for 5-7 minutes till the carrots gets cooked. Continue to cook till the milk completely evaporates.Add the sugar and mix well.when the sugar melts let it cook till the suagr thickens. Add rest of the ghee or more if you prefer and the fried cashews and raisins. Enjoy it hot!! !enjoy it with some vanilla ice cream!!!! its my fav...looks so yummy....love it. Thank you renu i posted it for you only! uma thanks a lot.it s so tasty n easy to make.i have a request...can u post sambar powder recipe?i mean small quantity....thanks. Just made it. Turned out fabulous. Thanks so much! Hi. If I want to add mawa to this recipe, how much will I need? Also would it be sweet or unsweet mawa?